Hello. My name is Noel Portugal (@noelportugal) and this is my first official post on the theappslab. I’m an avid fan of all things connected to the Internet (aka the internet of things) and love hacking and tinkering away in my free time. This year I decided to join other folks in a social Christmas lights experiment called Cheerlights. 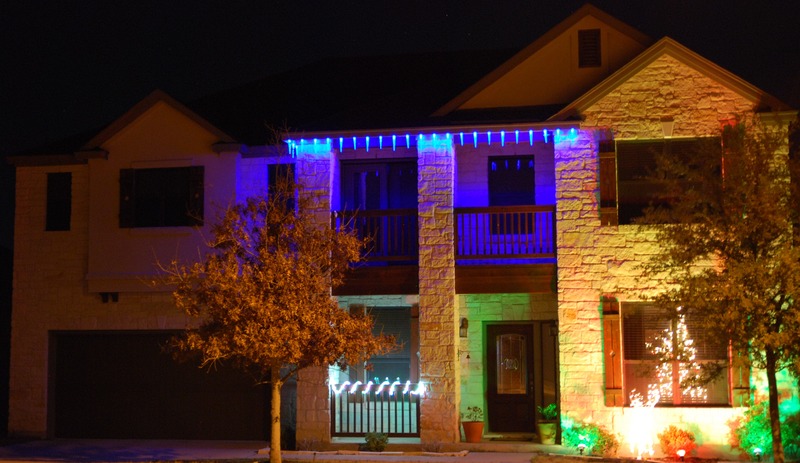 The project goal was to synchronize Christmas lights by checking Twitter mentions to #cheerlights or @cheerlights and the color desired (red,green,blue,cyan,white,warmwhite,purple,magenta,yellow,orange). The project provided an API powered by the thinkspeak.com platform that allowed users to subscribe to the latest color tweeted. The results were amazing; an android app that displayed the current color, an Ewok robot that reacted to color tweeted, a Chrome browser extension, a Twilio phone hotline, and other multiple light implementations. 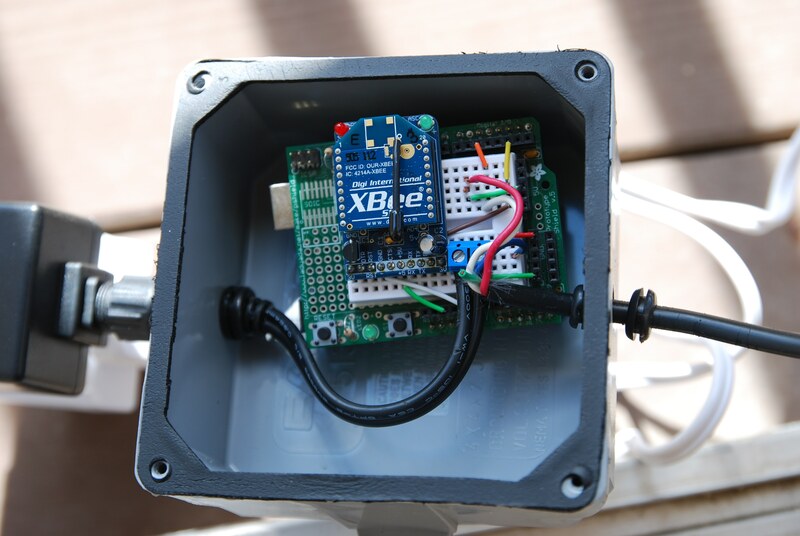 I built my Cheerlights using the amazing and hackable GE Color Effects lights, an Arduino, an ioBridge module as an Internet getaway, and a couple xBee radios. 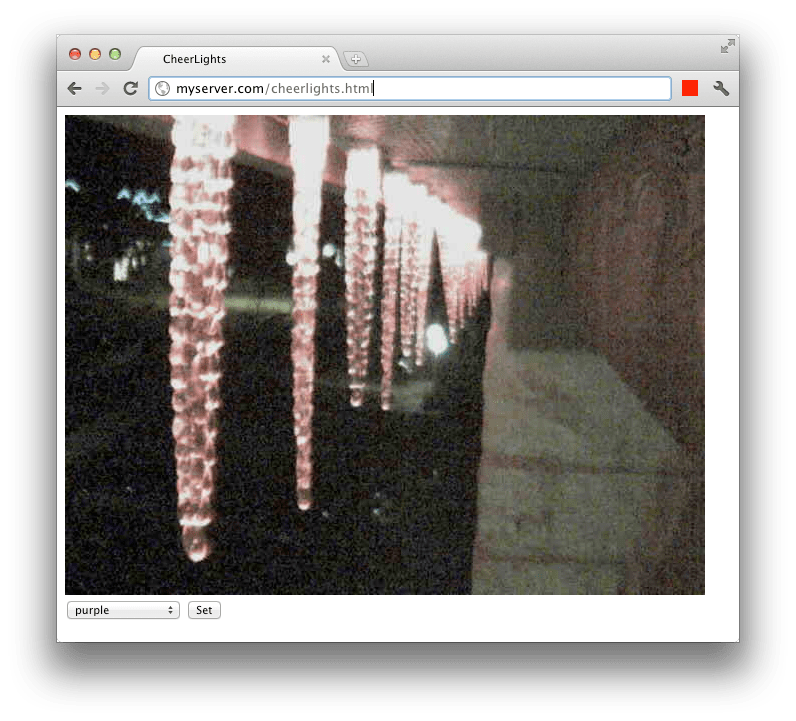 Another geeky part of my implementation was that all my house Christmas lights (including the cheerlights) were scheduled by a cronjob! Yes, just as many of us use cronjob for every day automated tasks such as backups or cleanup, I was able to use a script to set start and stop times of my house lights. Check my blog for more detailed info and pics. Maybe you can join me next year with your own Cheerlights project. Amazing. #cheerlights, show me some cheers to Noel. Surprisingly this project didn’t take long to build (2 days tops). The key is the open source community! Lots of resources out there! Very cool. I heard about #cheerlights project too late to join in this year, but I’ll be there next. What makes the GE lights so attractive and hackable? You can replace the stock controller of the GE lights and use and arduino to make your own program to control each light individually.